Book Reviews Archives | How Do You Do It? Imagine that a friend sends you a Youtube link to check out. You open it only to find that it features you… except that you never did what you see in the recording. There’s someone out there who looks and moves exactly like you. Could you possibly have a long-lost twin? This is how Anaïs learned that she might have a biological sister. Samantha was adopted from South Korea when she was and raised across the Atlantic Ocean. The story of how Anaïs and Samantha learned of each other, connected, and eventually met is shared with us in intimate documentary form in Twinsters, currently streaming on Netflix in the US. My 11-year-old identical twin daughters and I watched this movie together. We knew all along that the two young women would confirm through DNA testing that they were identical twins. Still, we were swept up in the suspense as they waited for answers. As we got to know Samantha and Anaïs, one American, one French, both adopted, both artists, my daughters couldn’t help but reflect on their own relationship, a connection they hold sacred and special. In one of her frequent jaw-dropping insights, M wondered out loud whether twins raised apart might become more alike than those raised together. After all, she pointed out, they don’t have the same pressures on them to claim their unique identities. She’s well aware that both she and her sister sometimes make choices simply to be different from one another. Although you might be tempted to head over to Netflix immediately to watch this movie with your young children, I offer a word of caution. Samantha has a foul mouth, and Anaïs’ isn’t much better. There is a lot of casual profanity in this movie, so if that is something that bothers you, save Twinsters for the grownups. My kids are mature enough to know that hearing F-bombs used by others doesn’t make using them acceptable in our family. They had already had exposure to these words at school. (In fact, the only profanity allowed in our home, by order of my daughter J, is “Brad Dingleman.” Jenny Lawson fans will get the reference.) Still, we discussed how uncomfortable her language made us feel and I reiterated that her swearing choices made it harder for us to connect with her. Twin expert Nancy Segal, who has been kind enough to guest post for us in the past, plays a prominent role in helping Anaïs and Sam find answers. 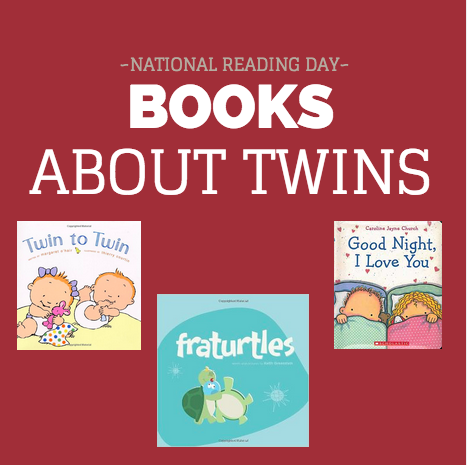 Her understanding of twin relationships, in all their guises, has literally filled books. Even more than her presence on the screen, her understanding of twin relationships and what can make them so wondrous is apparent throughout the film. One huge thing we loved about this story is that it wasn’t just about discovering twin identity. The young women also explored their identities as adoptees, as South Korean in name only, as infants given up by a woman who still insists that they were never born to her. They reconnected with the Korean women who fostered them as infants. They don’t share a language with these women, but they do share love, compassion, and gratitude. While not a primary focus of Twinsters, we also get some insight into how Sam and Anaïs’ families deal with the shock of discovering that they have another family member out there. Obviously, families with adopted children are already ready to open their hearts to atypical relationships. Nonetheless, my heart warmed at seeing the way in which Anaïs gained not only a sister, but all her sister’s brothers too. I can’t even imagine the feelings the parents had, realizing that there was another child out there that could have easily been theirs. The thing about real life is that it doesn’t have neat endings. The circumstances of their birth and the reasons they were split up continue to be mysteries to Anaïs and Sam. Sam embraced the exploration of her history more easily than Anaïs, for whom adoption presented a greater trauma than it did for Sam. In each other, though, they both found healing and joy. 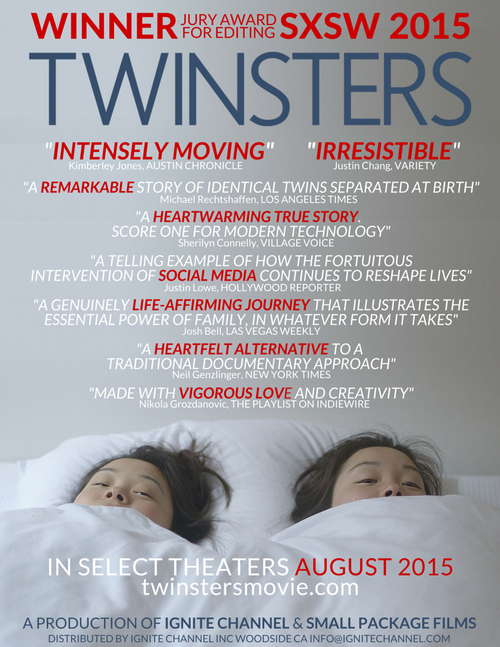 Take the time watch Twinsters (without the kids, please) and let us know what you think! There are times in my life when I just go through the motions. In graduate school, although my area of study was deeply interesting, I didn’t feel the glow that came with doing what I was put on the earth to do. I was just doing; I wasn’t living. Today, I’m living. Working single motherhood in the suburbs, and all that entails, lights me up from my toes to the ends of the hair. Who could have ever guessed that was my purpose? When I present a new idea to my daughters and their peers and see it click, I feel that glow. 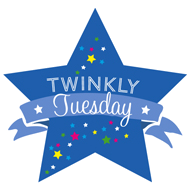 When I write to you here, reaching out to the multiple birth parent community, I feel that glow. When I catch a bug in the software I test before it can cause trouble for a customer, I feel that glow. I count myself among the lucky women who have found our light. Last weekend, my daughters and I met Sandy Parker, author of Lumi Finds Her Light. She told me that her inspiration for the book was all the women who feel “a bit dim”, who may have given up on even seeking the thing that makes them light up. 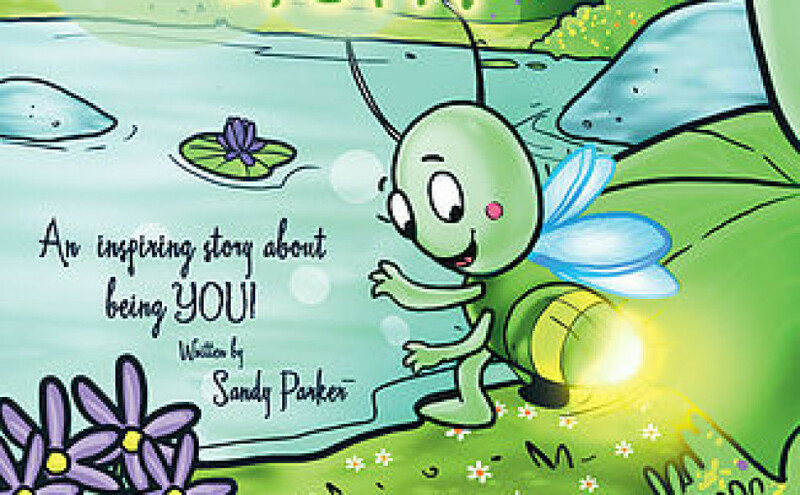 It was obvious that inspiring others to find their passions is what lights Sandy up. 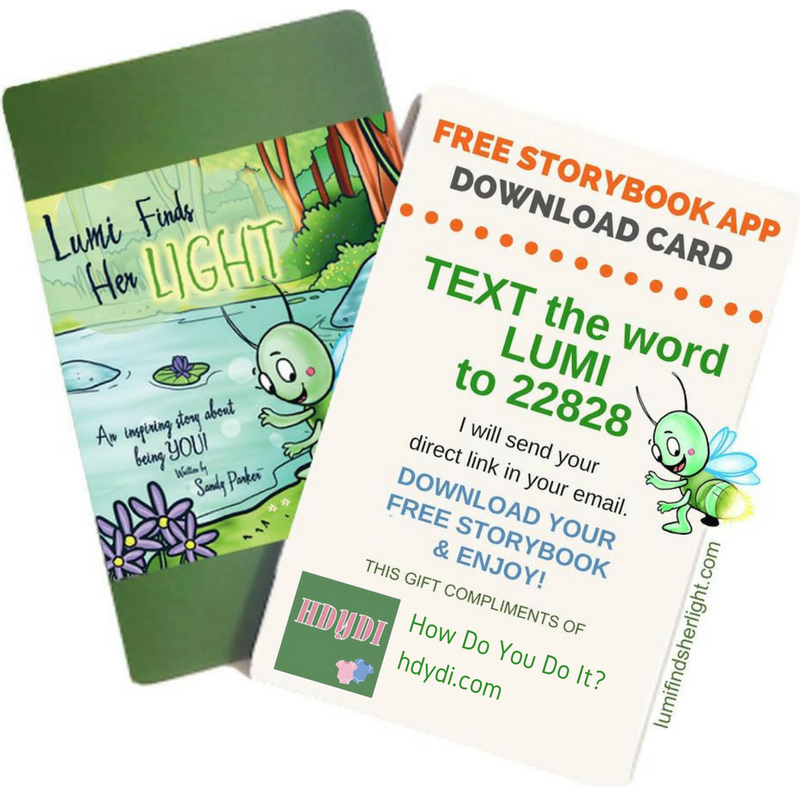 She’s so passionate, in fact, that she’s offering the Lumi Finds Her Light app free (iTunes/Google Play). It’s free to everyone, everywhere through November 10. It’s essentially an electronic copy of this sweet book, complete with audible narration. Send a text to 22828 with the word LUMI. That’s all it takes. Get a copy for your kids. Tell your friends. Lumi Finds Her Light: The Inspiring Story of Being YOU! is the sweet story of Lumi, a firefly who doesn’t yet glow. She has a supportive mother, but feels incomplete as she watches her peers find their lights. She hates being the last one to mature. Eventually, she finds what it is that makes her light up, just as we all hope for ourselves and our children. The pictures draw kids in, and parents connect to the subtext. Sandy’s blogger event at Genuine Joe Coffeehouse was intimate and sweet. There were four moms there, plus the author, and 3 of us had our kids with us for a total of one 2-year-old, two 7-year-olds, and two 10-year-olds. While the book itself was a little babyish for my 5th graders, they immediately caught on to the message and saw its value. It took about 10 seconds for Sandy to realize that the idea of “mischief” was what made my Twin B light up. In fact, the author managed to drop that word into conversation multiple times just to see Twin B transform into light. Sandy wants to start a movement, encouraging all people to seek their light. 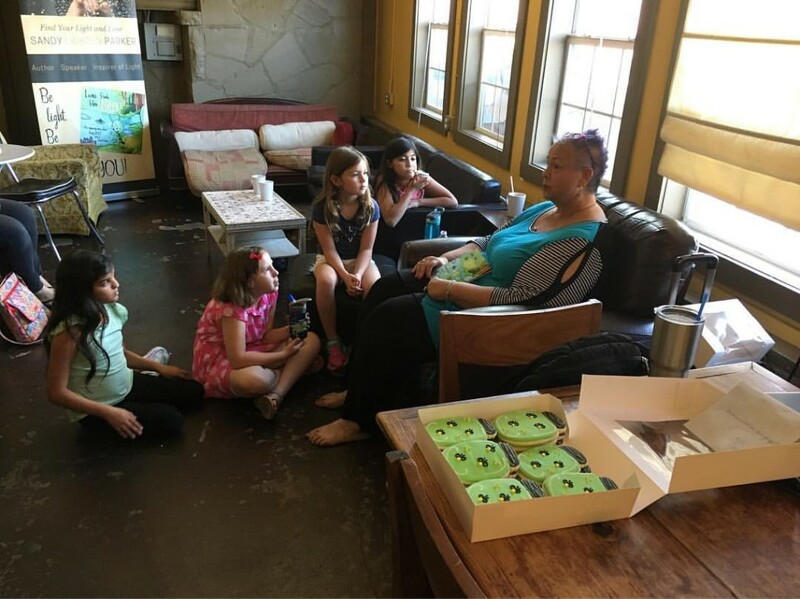 I’ll admit that while they enjoyed meeting Sandy, my daughters were far more taken with the glow in the dark experiments hosted by Mad Science Austin. One of my girls left with a recipe for her own phosphorescence experiment. And how adorable are those lightning bug mason jar cookies Crumbs by Jules? They taste as good as they look, too. Sandy was kind enough to give us an autographed copy of her book. I look forward to sharing it with kids–and moms–who could use a boost. Now, go and get your copy of Lumi Finds Her Light free. 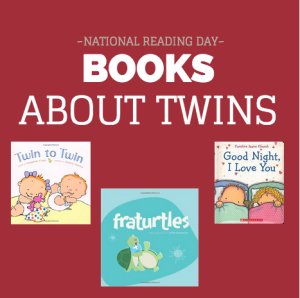 Do you have any favorite twin books? Share with us in the comments! I don’t have a hard count, but I’d guess we have upwards of 500 children’s books at our house. I have the majority of books from my childhood, and I cannot resist buying books for the girls. When I think about our vast library, though, there are only a handful of stories that relate in any way to multiples. 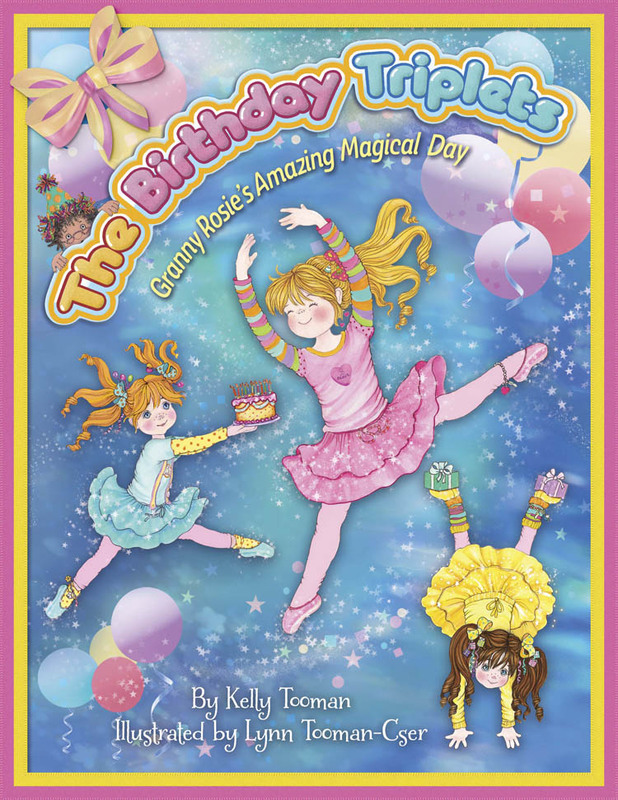 When the author of “The Birthday Triplets: Granny Rosie’s Amazing Magical Day” contacted us at How Do You Do It?, I jumped at the opportunity to review the book. The Birthday Triplets are Candi, Cookie, and Coco, three vivacious little girls who abound with love and joy. 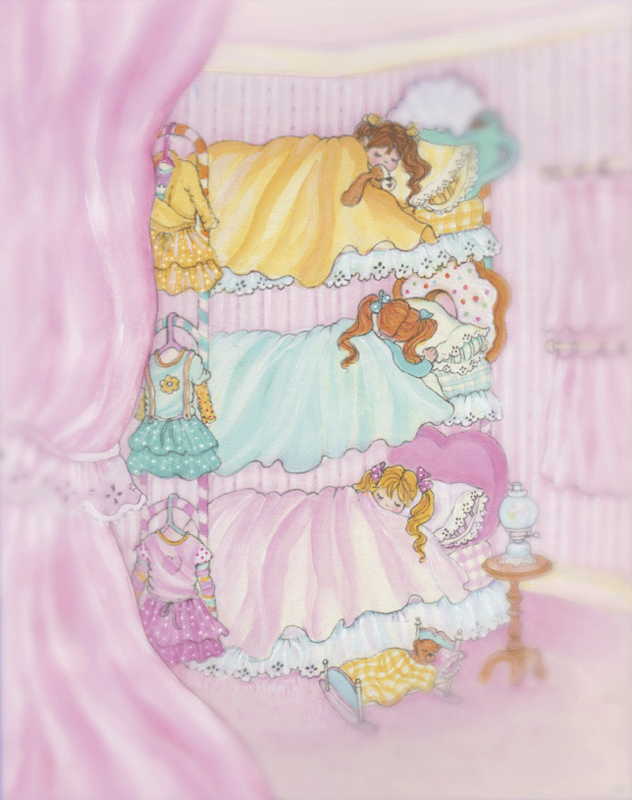 Set amid lively, colorful artwork, and fun, rhyming text, I knew my twin girls would be mesmerized with the story. The story opens with a very lovely, but sad Granny Rosie. Granny Rosie specializes in stirring up adventures in her whimsical adventure factory, but she laments that she hasn’t been able to cook up an adventure to keep her from being alone on her birthday. I love how the text is part of the picture, too! 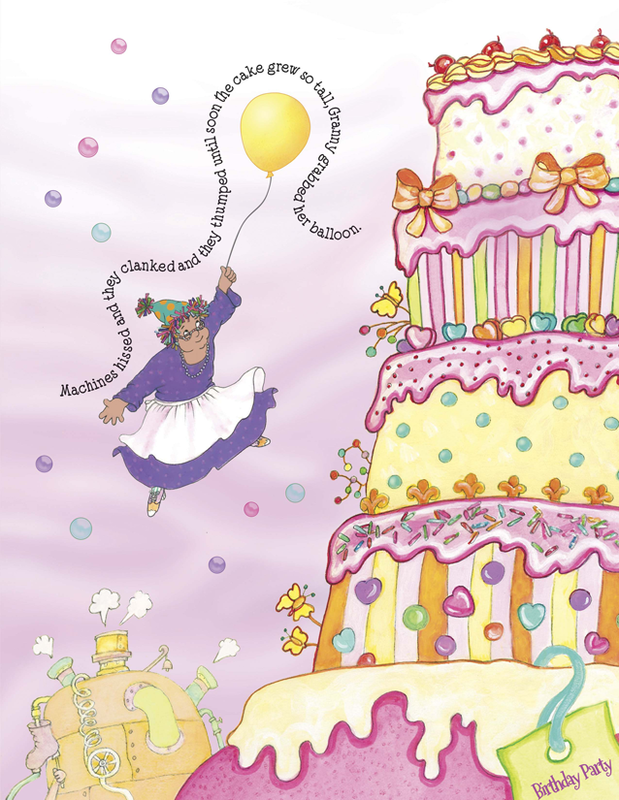 At last Granny Rosie happens upon a forgotten adventure recipe, one that invites her to her own birthday party! Granny Rosie begins to measure and stir…until…she is surprised at a huge BLAST! She thinks she’s made a mistake, until she hears giggles. 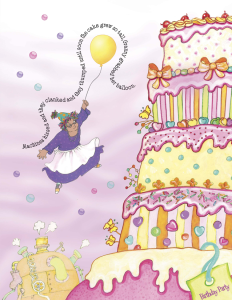 She’s swept away from her factory by three giant balloons, who soon reveal themselves to be The Birthday Triplets! Candi, Cookie, and Coco arrive just in the nick of time to help Granny Rosie celebrate her birthday! After much joyous dancing and singing, The Birthday Triplets hatch a plan to help Granny Rosie bring birthday adventures to anyone feeling sad or blue. The girls head home – in a magical cloud, no less! – to Granny Rosie’s cottage. Granny Rosie tucks them into their beds, with visions of new adventures dancing gleefully in their heads. The story itself is incredibly sweet and fun, underscored by the qualities of kindness, empathy, bravery, and being your best self. The artwork is truly magnificent. I can’t help but be reminded of what the most beautiful candy shop must look like in the eyes of a child, the perfect embodiment of her vivid imagination. 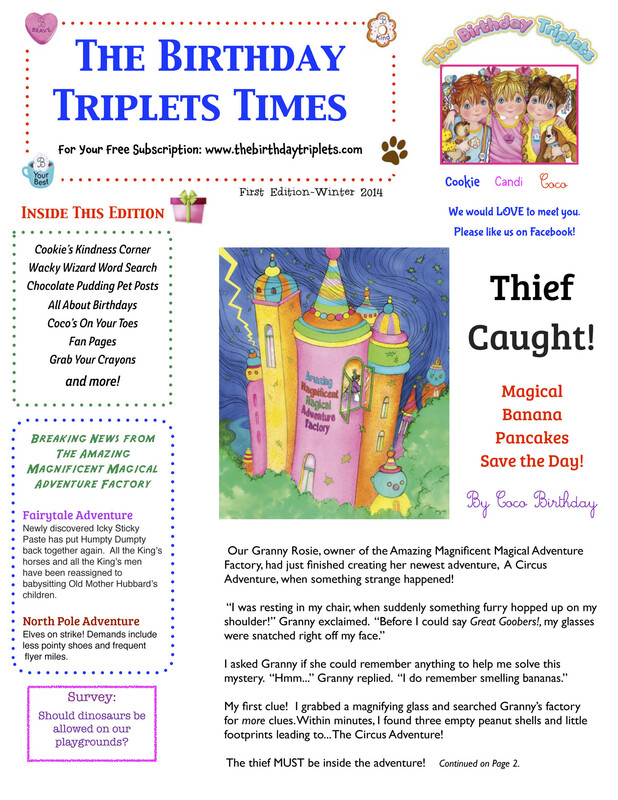 “The Birthday Triplets: Granny Rosie’s Amazing Magical Day” is the first in what will be a series of birthday adventures starring Candi, Cookie, and Coco. The next book is scheduled to release this fall. In the meantime, kids of all ages can connect with The Birthday Triplets via their Facebook page. (Be sure to sign up to receive cards from The Triplets on your kiddos’ birthdays!) 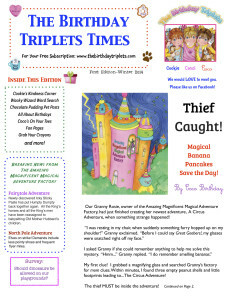 And through The Birthday Triplets’ website, kids can also sign up for the The Birthday Triplets Times newspaper. 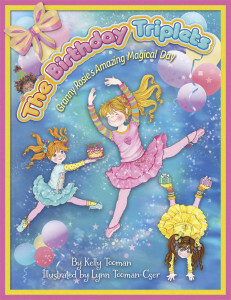 The hardcover book is available through The Birthday Triplets website, and the softcover is also available through Amazon. 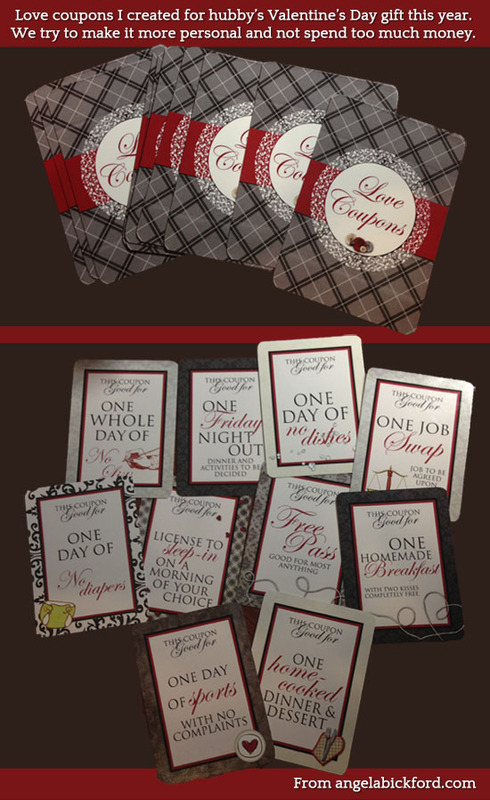 I am thankful for the opportunity to have written this review, and to have added another book with a multiples theme to our library. In exchange for writing this review, I received a copy of The Birthday Triplets book. Well, and I got to engage in a fun email conversation with the author, Kelly Tooman. [I think it’s so cool that she and her mom, Lynn Tooman-Cser, work as a mother-daughter writer-illustrator team. And that, of course, got me thinking about how amazing it would be to team up with my dynamic duo one day…but I digress. ] The views expressed here are my own. 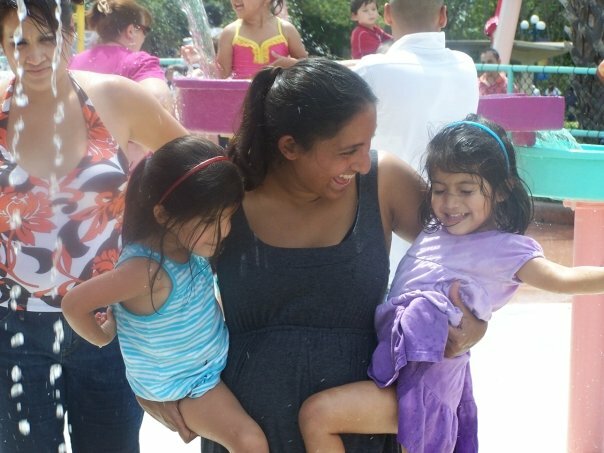 MandyE is mom to five-year old fraternal twin girls. 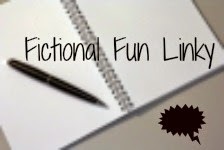 She blogs about their adventures, and her journey through motherhood, at Twin Trials and Triumphs. 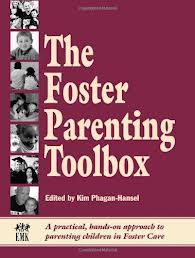 The The Foster Parenting Toolbox is precisely what it says, a collection of tools for parenting foster children. 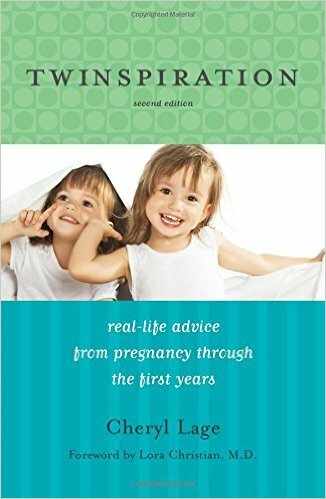 While the sections of the book are specific to foster situations, there’s a lot of parenting wisdom in this book that applies more generally to raising children. Over 100 contributors wrote short pieces to contribute to this bulky tome of 446 pages. The style and tone of the pieces vary, from the first hand account from an experienced foster mother about her first foster experience to data-based treatises from academics and case studies from social workers. The book is divided into themed sections, most about 20 pages longs and each containing several related pieces. Obviously, some of these sections don’t apply at all unless you are a foster parent or are considering fostering. I’ll talk about those first. I’ll admit that I wasn’t completely sold on become a foster parent when I picked up this book. There was a particular child I knew in need of foster care, and I hoped to foster, perhaps adopt him. It didn’t end up working out; he is instead in his grandmother’s custody. I figured that would be the end of any thought of fostering, but I leafed through the book anyway since I’d ordered it. By the time I’d finished the 11 pieces in this “Why Foster” section, I was sold on fostering. It didn’t hurt that the tenth story was one of identical twins boys fostered because of neglect who were ultimately adopted by the author. That’s how you get to me: a story of a child in need with a happy ending, and twins at that. I had a lot of questions about the financial realities of fostering. The articles that address this issue are refreshingly honest. Caring for a child costs far more than the stipend a family might receive for fostering that child. I would need my finances in order before I would want to register as a foster mother. I had hoped for more guidance from the book on talking to the children I already have about the realities of foster care, but found myself going alone on that. Issues of sibling integration are woven into many of the first-person stories, but I would have loved a section devoted to this. The focus of the book is certainly on foster children, although it touches on life after foster care in foster-to-adopt situations. There is no section of the book intended to provide generalized parenting advice, but the anecdotes, recommendations and research on helping the most vulnerable children in our society can be brought to bear on parenting our forever children too. For instance, I find myself sitting quietly with a screaming child (my own and others’) just to let him or her know that I’m there for whenever they’re ready to talk. Before I read this book, I would have spent more effort to trying to reason and be heard over the screaming. I found reading through parts of the Trauma and Abuse section very difficult, but still healing for the little girl inside me who still hurts from the emotional and verbal abuse of my childhood. I felt a little less alone and wanted to reach out to the children just coming out of those situations to let them know that there is happiness and security on the other side. I haven’t read the book from cover to cover. This is another one of those resources that makes the most sense to approach from the index for inspiration in dealing with specific challenges. 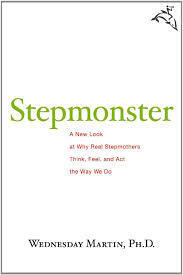 Having read selections, though, I feel more knowledgeable about what foster parenting would really be like. Of course, the proof will be in the pudding, if a foster child or children do enter our family some day. I hope they do. Sadia (rhymes with Nadia) has been coordinating How Do You Do It? since late 2012. She is the divorced mother of 7-year-old monozygotic twins, M and J. She lives with them and their 3 cats in the Austin, TX suburbs and works full time as a business analyst. She retired her personal blog, Double the Fun, when the girls entered elementary school and also blogs atAdoption.com and Multicultural Mothering. By the time my children were born, I felt fully capable of raising two little girls, whatever their personalities, strengths, and weaknesses. When they proved to be rather bright, I relished the gift of being the one to guide and nurture their curiosity and insights. My daughters’ daycare teachers were wonderful, encouraging them to explore, providing them just the right level of challenge, and introducing academic learning in a way that made it fun. It wasn’t until kindergarten that it occurred to me that J and M’s intellectual gifts might present a challenge when it came to fitting into mainstream education. Thanks to their school in El Paso, I learned that their giftedness challenged the status quo. I was going to have to learn to be not just the mother of M and J, who happen to be smart, but to be a Mother of Gifted Children. I confess that I fought the labels. Why couldn’t my kids just be kids? I could challenge them intellectually at home if the school couldn’t. 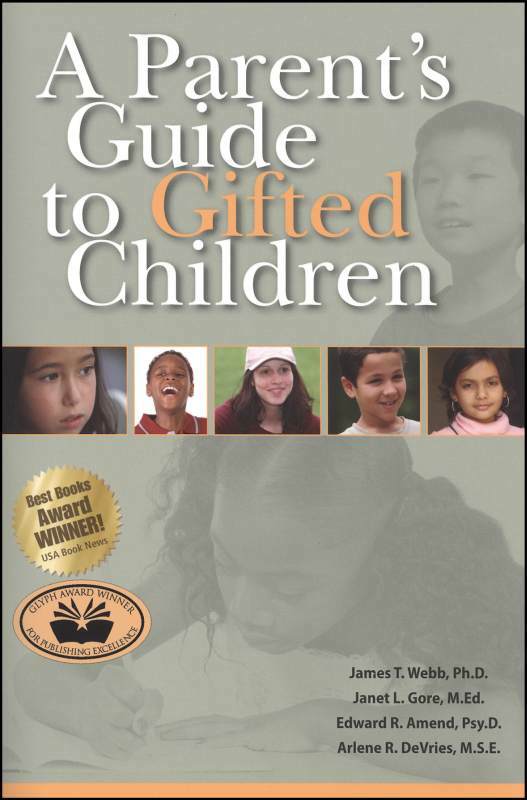 I finally gave in and bought A Parent’s Guide to Gifted Children . It sat on my bookshelf for a while. When I finally cracked the spine, I wished I’d done so earlier. My daughters, I learned early in the book, could be described as being at the lower end of the “profoundly gifted” category. As I read through dire warnings of teachers who don’t know what to make of gifted children, I was ever more appreciative of their teachers this year. While my girls have little to say about the research projects they’re working on with their Gifted and Talented teacher, they’re constantly bubbling with news of the extra lessons both their “regular” teachers teach them throughout the day, whether they’re done early with an assignment or seeking more excitement on a test than the basic instructions offer. Both teachers actually spend time with my daughters after school, while I’m still at work, giving them enrichment exercises, feeding their curiosity, and encouraging them to pursue their intellectual interests. I know, we are blessed beyond anything I could ever repay. I was embarrassed to see myself described in early chapters of A Parent’s Guide to Gifted Children , the mother who underplays her child’s gifts, claiming that a child is merely a good test taker and not “special” in any other way. I find myself fighting for equity between my daughters by explaining away the small ways in which M is stronger in math and J in critical analysis. When my daughters’ teacher presented their test scores to me, I tried to explain away M’s slightly higher scores. I, proponent of treating all people as individuals, was trying to force my two children into a single mold. In the early chapters of the book, it served more as a self-help book for me than a guide to dealing with my kids’ above average intelligence. I appreciated the very first words of the introduction: “The Importance of Parents.” I’ve never been one to believe that it is the school’s job to raise my children. Given my kids’ smarts, sending them to school is primarily to help them develop their social skills. I had high hopes for the school I chose for them, but I really lucked out in having several teachers in the dual language program who are committed to nurturing each child in the class as an individual. I’m glad that the girls’ teachers push them, but if they didn’t, filling in that space would be my responsibility, not the school’s. Unlike some of the other book reviews I’ve written this week, I don’t feel like I can summarize the key points of the book in a way that’s helpful. The thing about giftedness is that it is unique every time. Realizations I had about J didn’t, for the most part, apply to M, or vice versa. I knew I was going to have to advocate for my girls’ academic opportunities and appreciate the guidance the book provides on those issues. If you have, or suspect you have, a gifted child, I’d recommend reading through this book to find gems that help you be the best parent you can be to the little miracle in your care. Is My Child Gifted or Just Smart? Why Wouldn’t a Gifted Child Be Motivated? Can’t I Simply Trust the Schools? Any of these headings jump out at you? If they do, consider checking this book out of you local library.